The International Space Station is inarguably a source of incredible photographs of our home planet, but does it actually get any science done? Yes, and if you have a smart phone, NASA has an app to guide you through all of it. The overall navigation is divided into Experiments, Facilities, Benefits, and Media so you can prioritize how you want to explore the research based on your interests. Experiments is a straight list of research projects, divided into six categories of research with ever more subcategories. Within each section is a list of all the related research projects that you can explore with links, images, and even publications when available. If you're more into seeing how the projects physically exist on the station, navigate through the Facilities tab. The Facilities splits the station into three modules where experiments take place (Columbus, Kino, and Destiny), then provides a view of the experiment racks to see what the projects actually look like in space. 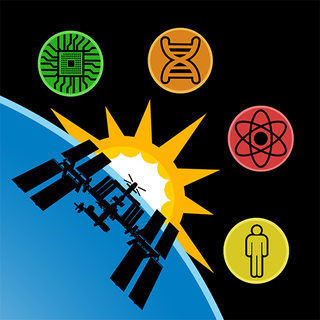 If it's all about the end-result, enter into the app via Benefits to see what impact this research has on advancing human health, understanding the Earth, or progressing what we know about global systems. Finally, if you're all about the interactivity, the Media tab is where it's at with podcasts, games, and videos. Pick up the app for Apple or Android.